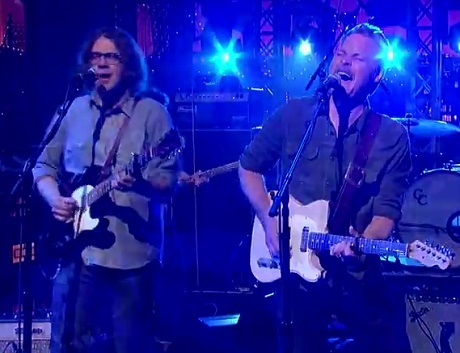 North Carolina folk act Hiss Golden Messenger brought a full band to The Late Show last night (November 18) to give their Lateness of Dancers' "Southern Grammar" a jazzing up for the Letterman crowd. The country strut of the number was punched up for the TV audience with extra sweaty brass lines, backups and a hip-swiveling swerve affecting the entire project. Letterman himself was impressed by the performance, telling the crowd "This is all you need, right here." Additionally, a live take of the track will lead-off the group's Southern Grammar EP, due February 3 via Merge Records. The release will also feature B-sides "Brother, Do You Know the Road?" and "He Wrote the Book."